Malta is an archipelago in the central Mediterranean between Sicily and the North African coast. Trade is essential to Malta's economy, because it depends on external sources for much of its food, fuel, raw materials, and manufactured articles, Malta imports considerably more than it exports. Malta is a net importer of mineral fuels and oils, non-electrical machinery, aircraft and other transport equipment, plastic and other semi-manufactured goods, food, drink and tobacco. Thus, Malta has historically had problems with its trade balance, mainly due to the fact that it is a small island that has to import essential commodities such as oil and foodstuffs. Malta's economy relies more on imports than exports which makes fuel and raw material the most imported goods. The most imported product is petroleum which represents about 33% of Malta's imports. Passenger boats and cargo ships are the second most imported products in Malta and they occupy 24% of the country's imported goods, as Malta is well known for its tourism facilities. Malta also imports integrated circuits and chemical products that represent almost 6% each. 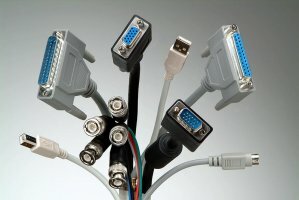 Also, in smaller percentages, Malta imports: means of transportation, metals, foods, textiles, pharmaceuticals, spacecraft and aircraft spare parts, cars and cars spare parts and also computers. Due to the fact the Malta is a small country, imports occupy an important part in the country's economy. So we notice that despite a great potential for solar and wind power, Malta produces almost all its electricity from oil, importing 100% of it. Oil bunkering has become a large industry in Malta since the liberalization of petroleum sale in 1996. Only 1% of Malta is forested and all of this land is publically owned. As a result of that there is no major forestry industry in Malta. Hereof, industries that require wood and paper products have to import these from outside sources. In a year Malta imports roughly almost 20,000 cubic meters of sawn wood, and over 40,000 tonnes of paper and paperboard. The majority of farms across the country are small and privately owned, with most of the produce consumed domestically. The primary arable products produced in Malta include: potatoes, cauliflower, grapes, wheat, barley, tomatoes, and citrus fruits; pastoral products produced are pork, milk, poultry and eggs. The rest of the consumer products have to be imported to Malta. Thus, Malta's main imports are agricultural products, manufactured goods, and fuel and mining products. Manufactured goods dominate the country's exports - over 90% of all exports. Agricultural products made up a substantial minority at around 16% of imports. Almost 70% of Malta's imports are from the EU. The most important suppliers for Maltese imports are: South Korea than provides 23% of the country's imports and Italy that supplies 22% of Malta's total imports. In smaller quantities and percentages, Malta imports products from Russia, Turkey, the United Kingdom, France, Germany and China. Malta, officially the Republic of Malta, is a Southern European island country comprising an archipelago in the Mediterranean Sea. It lies 80 km south of Italy, 284 km east of Tunisia, and 333 km north of Libya. The country covers just over 316 km2, with a population of just under 450,000. the country comprises an archipelago, with only the three largest islands (Malta, Ghawdex or Gozo, and Kemmuna or Comino) being inhabited; numerous bays provide good harbors; Malta and Tunisia are discussing the commercial exploitation of the continental shelf between their countries, particularly for oil exploration. Malta's central Mediterranean location places it on the migration paths of the three migratory fish species which contribute to the majority of catches sustaining the fishing sector. Despite this, the Maltese fishing industry makes a small impact on Malta's economy - it contributes about 0.1% of the national GDP. The main fish species exported are aquaculture products (account for 89% of total exports); tuna and to a lesser extent Swordfish. The main export markets are Italy and Spain for Swordfish, Sea Bream and Sea Bass, and Japan, USA and South Korea for Tuna. Maltese exports are mainly based on: refined petroleum, integrated circuits and packaged medicines. Malta exports refined petroleum in proportion of 37%, integrated circuits in proportion of 23% and pharmaceuticals in proportion of 6%. Other products exported by Malta are represented by: manufactured goods, appliances, protection equipment, airplane spare parts, medical devices and measuring tools. Most of Malta's commodity exports are electronic microcircuits (62%). Other export commodities include clothes (5.9%), refined petroleum products (4.4%), and toys (4.3%). 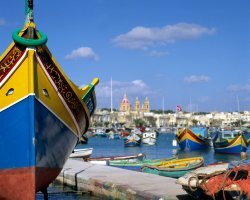 Malta's main export partners are China and Singapore that import about 8% of Malta's total exported products, Germany, France, Italy and the United States that import from Malta between 4 and 5% of their products and, in smaller percentage, Malta exports to Turkey, the United Kingdom and the Netherlands. Malta is an archipelago of coralline limestone, located in the Mediterranean Sea, approximately 93 kilometres south of Sicily, Italy, and nearly 300 km north and northeast of Africa. Malta is a member of the Commonwealth of Nations, as well as the European Union and WTO. Import duty and taxes in Malta are performed acording European Union rules. When importing goods into Malta from outside of the EU whether by a private individual or a commercial entity. The import duty and taxes payable are calculated on the CIF value, i.e. the sum of the value of the imported goods and the cost of shipping and insurance. The duty rates applied to imports into Malta typically range between 0% (for example books) and 17% (for example Wellington Boots). Some products, such as Laptops, Mobile Phones, Digital cameras and Video Game consoles, are duty free. Certain goods may be subject to additional duties depending on the country of manufacture, for example Bicycles made in China carry an additional (anti dumping) duty of 48.5%. The standard VAT rate for importing items into Malta is 18%, with certain products, for example books, attracting VAT at the reduced rate of 5%. VAT is calculated on the value of the goods, plus the international shipping costs and insurance, plus any import duty due. For imports into Malta, there are minimum thresholds below which duty and VAT are waived. Excise duty is payable on for example tobacco and alcohol. Additional customs fees can be charged to cover the expense of performing any required examinations, verification and or testing of the imported goods.